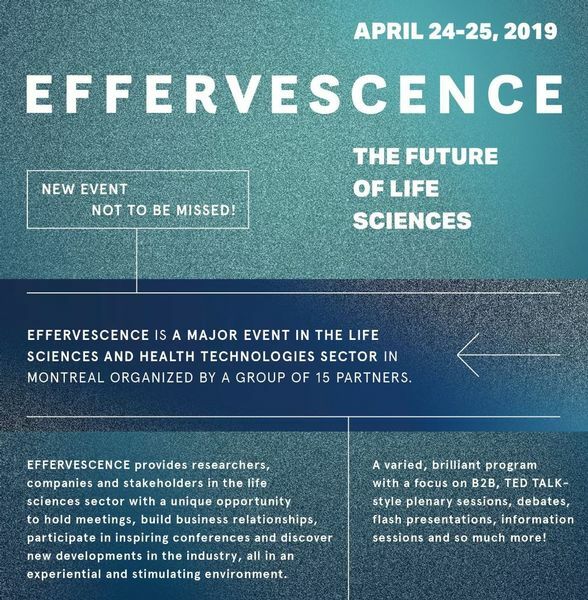 A major event in the life science and health technologies sector organized by a groupe of fifteen partners. A unique opportunity for researchers, companies and stakeholders to hold meetings, build relationships, participate in inspiring conferences and discover new developments in the industry, all in an experiential and stimulating environment. April 24 and 25, 2019, from 9:00 a.m. to 4:00 p.m.
“Omics” technologies have paved the way to a wide range of fields of research and applications. This Rendez-Vous is intended for scientists interested in technologies and applications related to high- throughput “omics” technologies. The Rendez-Vous Génome Québec 2019 will focus on researchers leading initiatives using next-generation “omics” technologies in very diverse areas of research. The key benefits of attending the BIO International Convention are access to global biotech and pharma leaders via BIO One-on-One Partnering, exposure to industry though-leaders with over 1,500 education sessions at your fingertips, and unparalleled networking opportunities with 16,000+ attendees from 74 countries. The Canadian Institutes of Health Research - Institute of Genetics is pleased to support the 8th annual Canadian Human and Statistical Genetics Meeting (CHSGM). The conference will be held in collaboration with the Canadian GE3LS* and Health Services Policy Research. As part of the 8th annual Canadian Human and Statistical Genetics Meeting, this conference will explore cutting edge issues in the application of emerging genomics technologies. The event will put an emphasis on opportunities and training for Early Career Researchers, as well as the participation of patients and their families. Deadline for submission of abstracts: March 18, 2019.